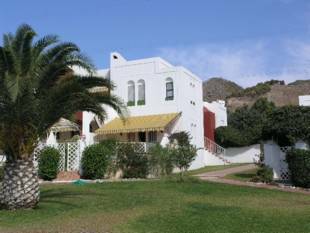 Townhouse, Outskirts of Town, Furnished, Fitted Kitchen, Pool: Communal Pool, Garden: Community with Pool, Facing: West Views: Mountains, Sea. Features: Community Garden, Community Pool, Condition – Good, Conveniently Situated Tennis, Dining Room with Fireplace, Fitted Kitchen, Fully Furnished, Good Road Access, Mountain View, Private Terrace, Quality Residence, Quiet Location. 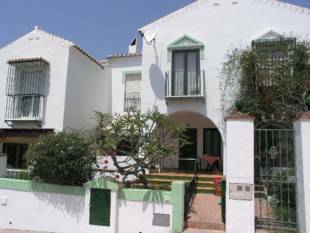 A 3 BEDROOM TOWN HOUSE IN A QUIET AREA OF NERJA. 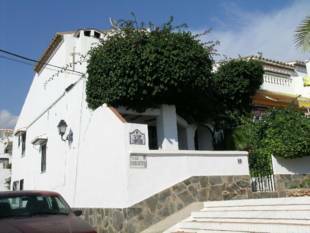 The House is south facing in a pleasant setting in the Almijara area (with lots of parking and a communal swimming pool) within easy reach of the town and the beaches. There is a pretty front garden with a sunny terrace, a hall, fitted kitchen (opens to a small internal patio ) and a good size sitting and dining room with a central fireplace. The sitting room leads to two of the bedrooms, bathroom and cloackroom. Upstairs is the main bedroom with large terrace and sea views. Air conditioning. 220, 000 euros. 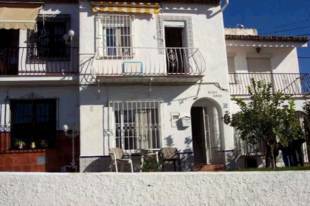 A completely refurbished, large terraced house in excellent condition, situated on the outskirts of Nerja. 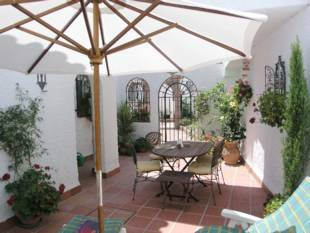 The property is superbly furnished throughout and included in the sale (incl. 11 televisions!). On two floors plus spacious basement, the property consists of lounge/dining room with fireplace, fully equipped kitchen with walk-in pantry and laundry area, charming covered terrace with sunblinds, 3 bedrooms with built-in wardrobes, large bathroom and guest toilet. Basement comprises single car garage, games room, gym and separate lounge/tv room, bathroom with round bath. A/c. in main rooms, double glazing, electric sun blinds, TV points in all rooms, window grills, water tank, terrace & BBQ.